Even though fans helped Thurston Moore retrieve his stolen white Fender Jazzmaster after it went missing for 13 years, the singer for the now-on-hold Sonic Youth has seemingly run out of luck, as yet another of his guitars was stolen last night. 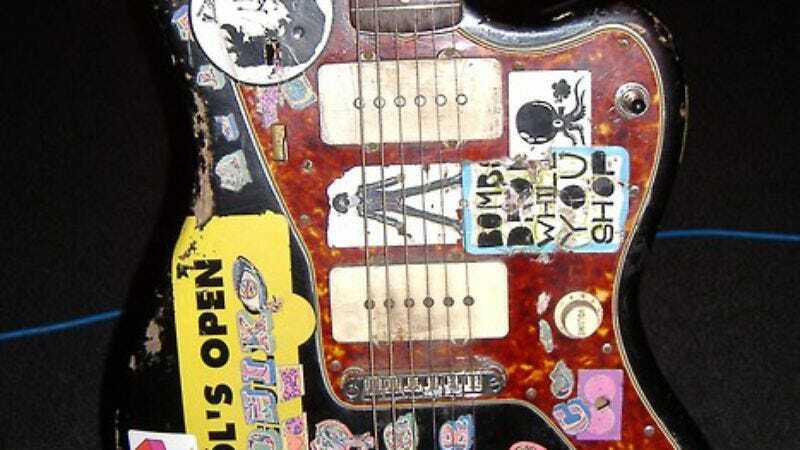 According to a note from Moore on the Sonic Youth website, his iconic, heavily stickered 1960 Fender Jazzmaster was taken from a Best Western in Philadelphia. Moore notes that a police report has been filed and hopes that store owners and fans will be on the lookout. Hopefully, this time around, Moore won't have to wait until 2025 to get his gear back.